This bizarre souvenir gives the phrase pocket pets new meaning. CNN first reported on them in 2011. The little animals are suspended in brightly colored liquid, often along with beads and other decorations, and are barely able to move. The water supposedly contains oxygen and nutrients that can keep them alive for a few days. Of course, animal activists have condemned the keychains as unnaturally cruel, as the animals inevitably die once their oxygen wears off. In the best case scenario, they're freed from their prisons and end up as pets to people who aren't prepared to care for them. There's also the psychological cruelty of trapping a sentient animal in a living grave. 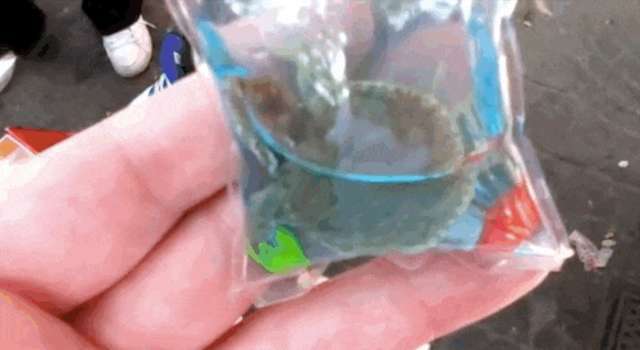 This video shows a tiny turtle spinning around and trying to escape - but there's no way out.